Purchase all 4 titles and save. See Bundle pack. 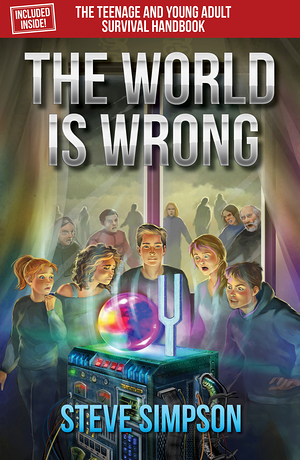 The World is Wrong will keep you glued to the pages while it excites you, scares you and delivers a fantastic finale! While The World is Wrong deals with exciting alternative realities, The Teenage and Young Adult Survival Handbook deals with the realities that many young people face today, such as alcoholism, child abuse, bullying, self-esteem, suicide and dealing with school and dysfunctional homes, giving the reader the knowledge that they are not alone with their problems, suggestions of how to get help and hope.